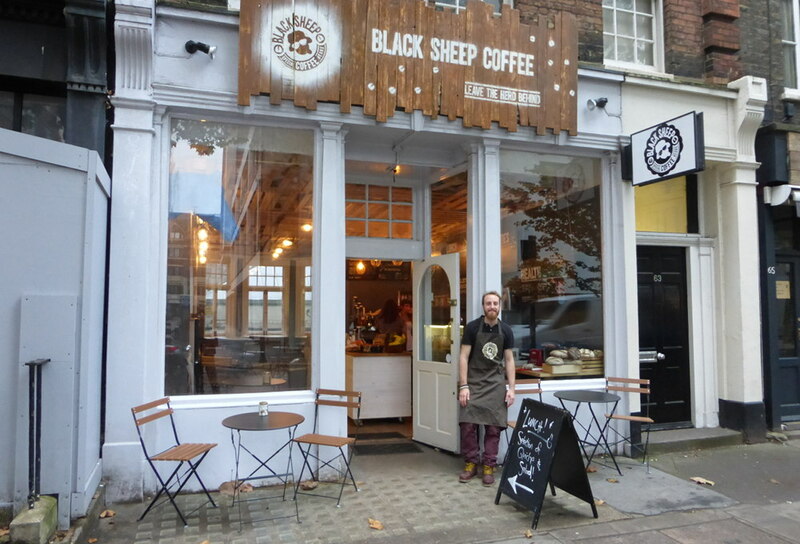 Last weekend there were sheep from Hackney City Farm grazing in Fitzroy Square but further south in Charlotte Street a new cafe has joined the growing herd of gourmet coffee shops in Fitzrovia. Barrio barista. Angel Catalan from Madrid works at Black Sheep Coffee, 63 Charlotte Street. Black Sheep Coffee which suggests customers “leave the herd behind” opened this month and adds to the long list of fashionable cafes that have been gathering over the last few years led by Kaffeine, Lantana and Reynolds. Barrista Angel Catalan who comes from Madrid posed for our photo outside the shop which is the third opening for this small chain of cafes. 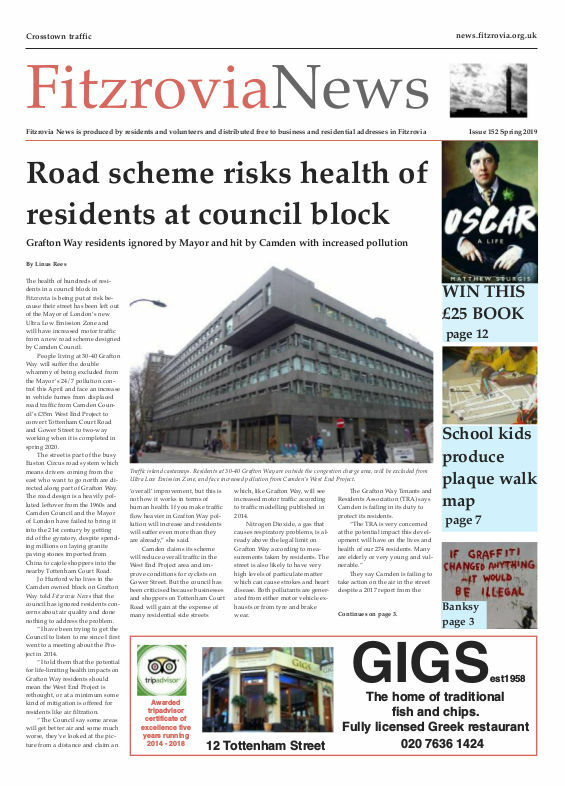 Other branches are in Camden Town and Oxford Street.